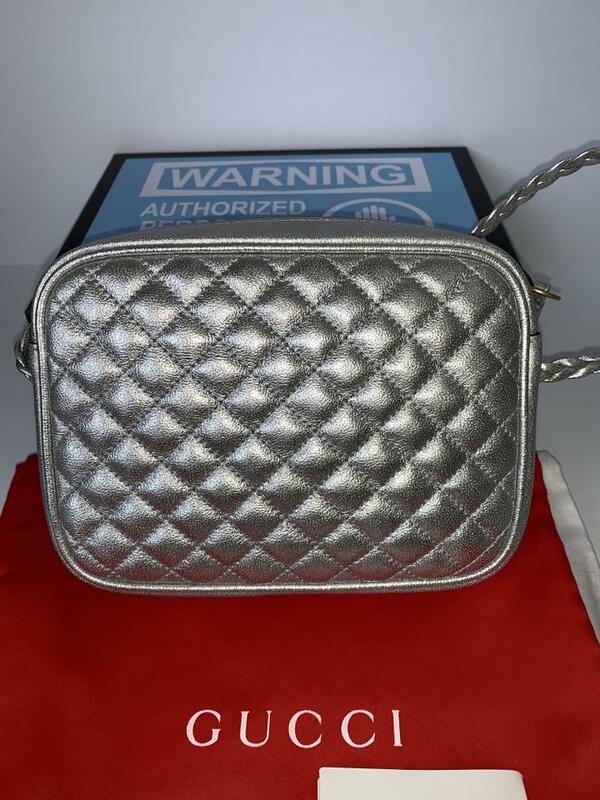 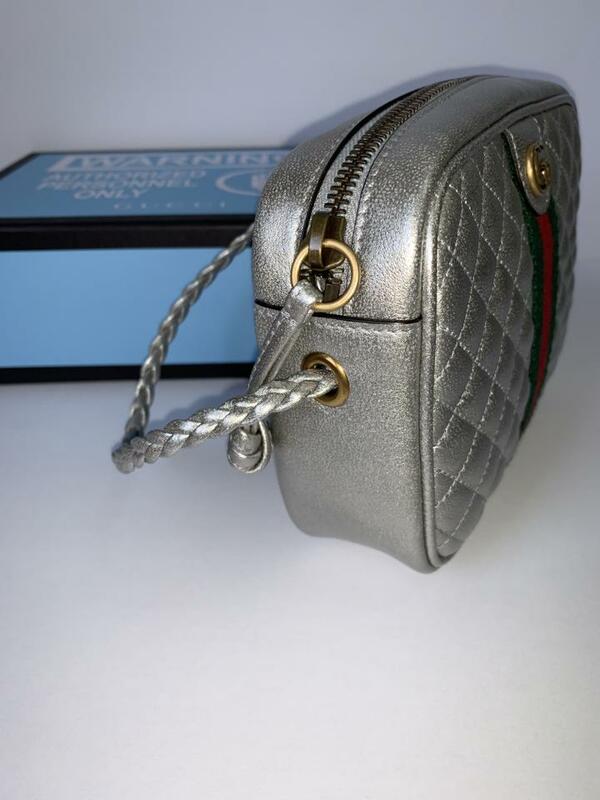 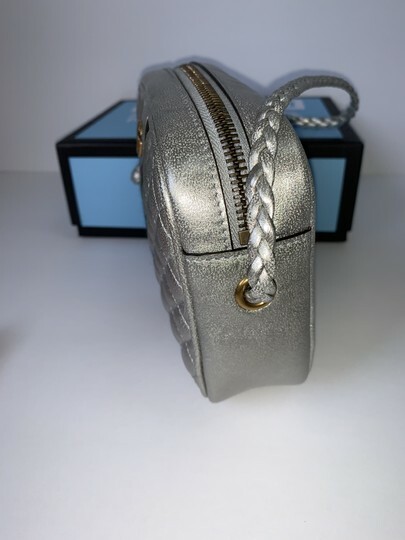 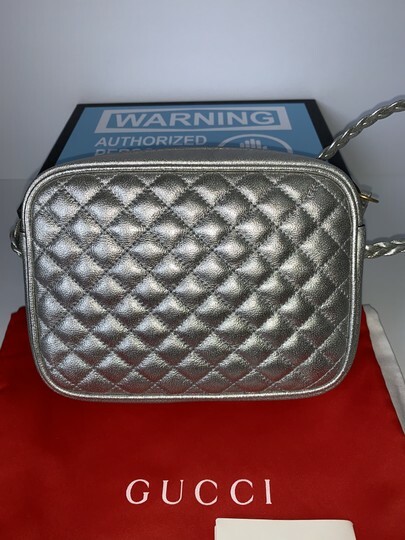 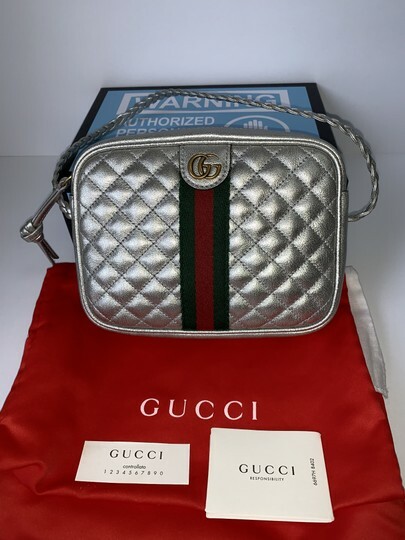 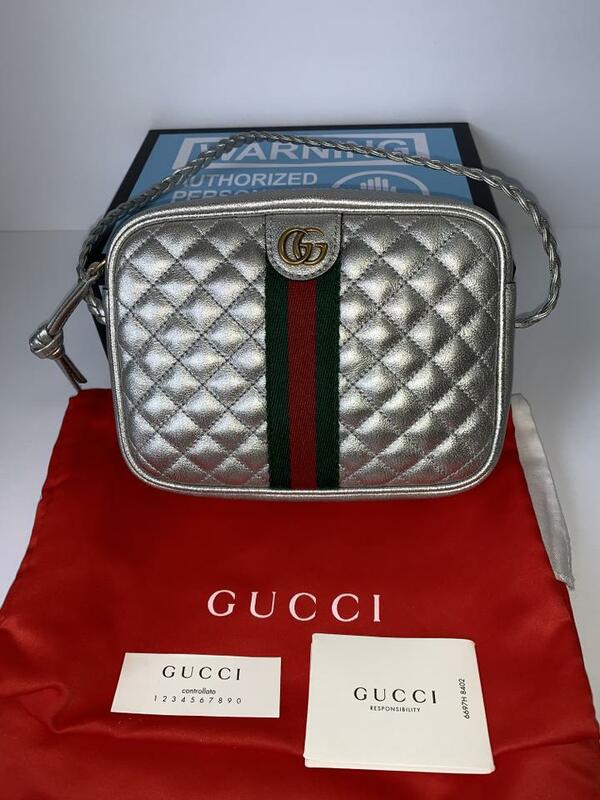 Brand New Gucci quilted laminated leather mini camera cross body bag. 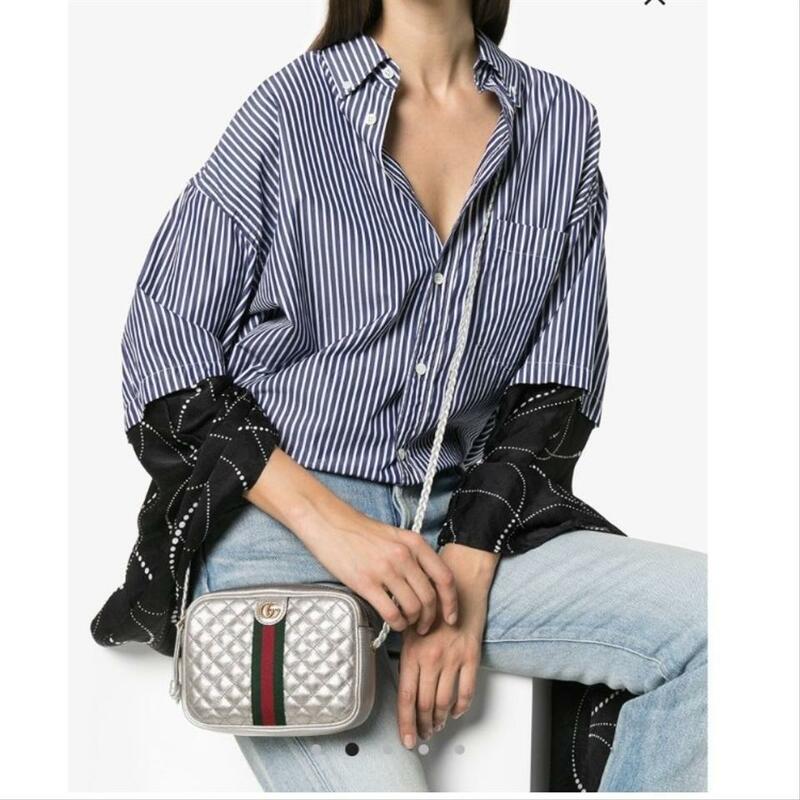 This matelasse shoulder bag is made up of laminated silver leather and mixes a sportswear-inspired feel with distinctive emblems of the House, including the Double G and the traditional green and red Web stripe. 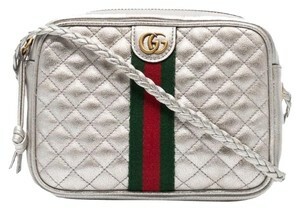 *Includes Gucci box, dust bag and gucci care tags ("Responsibility" and "Controllato" cards). 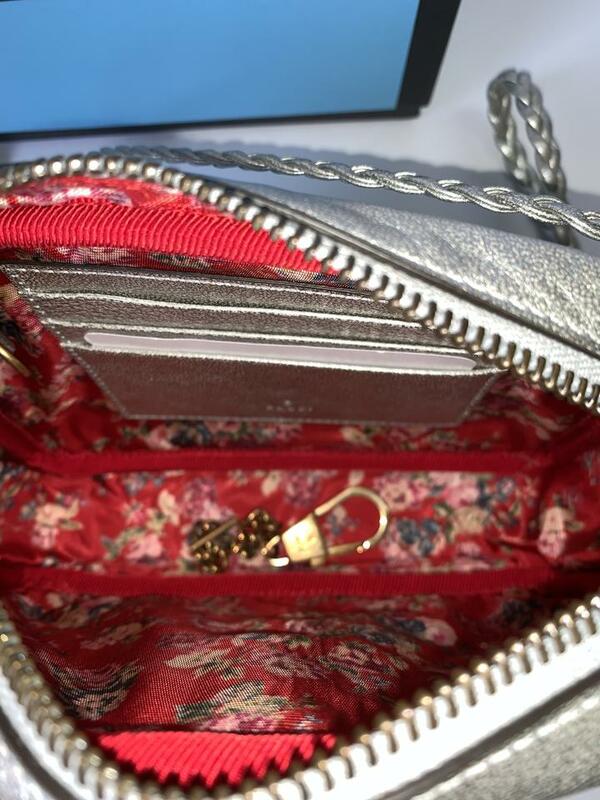 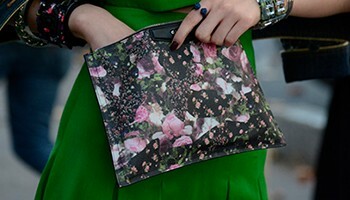 Note: Gucci care tags are not attached to the item but are included separately with the item.